Debarks logs from: 6-36" 8-48"
Our log kicker arms are mounted on shaft with babbit bearings. 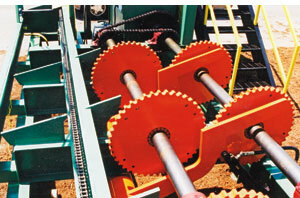 Carriages use heavy roller chain. TS Rosser Head Debarkers are designed to be the most durable, low maintenance and heaviest duty systems on the market. 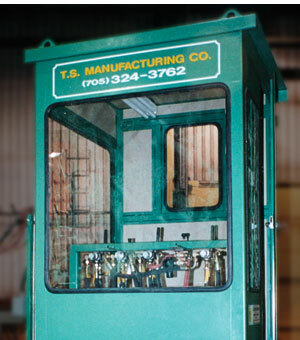 With our unique and wide array of options, a TS Debarker can be customized to suit your specific application. All model features are upgradeable and customizable. Contact a sales representative for more information.